No matter how you enjoy your bikes you are in for spectacular beautiful scenery in every direction. 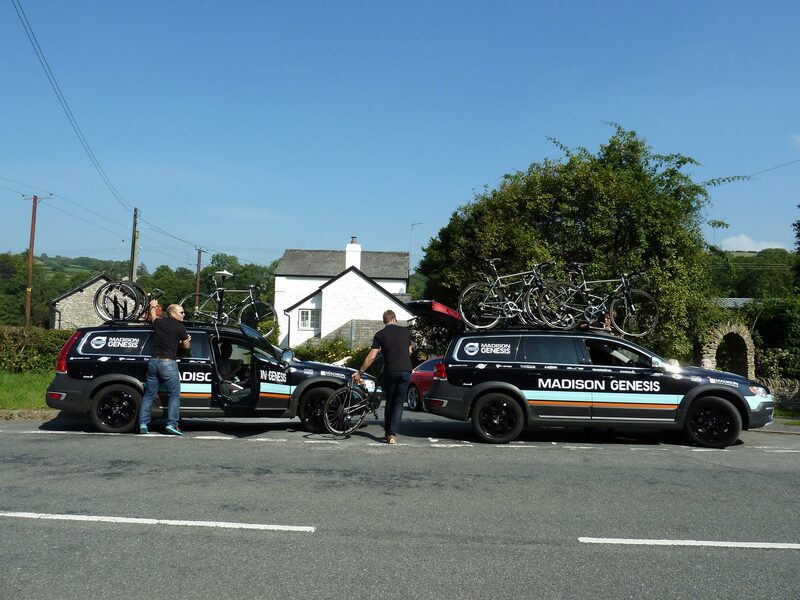 So here are our thoughts on Mountain Biking, Road Riding, Touring…………..
After all we see the Teme Valley and the surrounding areas as one of the great undiscovered (by most!) gems for cycling and it’s one of the reasons we are here! MOUNTAIN BIKING: TRANS CAMBRIAN WAY EPIC. Being just outside Knighton we are a natural start for the Trans Cambrian Way epic ride. We can pick you up from Knighton if you come by train and we can pick you up again from Dovey junction on completion. If you come by car you are welcome to leave your vehicle at The Mill ready for your return. Most people complete the TCW in three days although we have met riders who have completed the 110 mile journey in one day! We reckon 3 days is pretty ‘comfortable’ and this is what most riders choose to do. 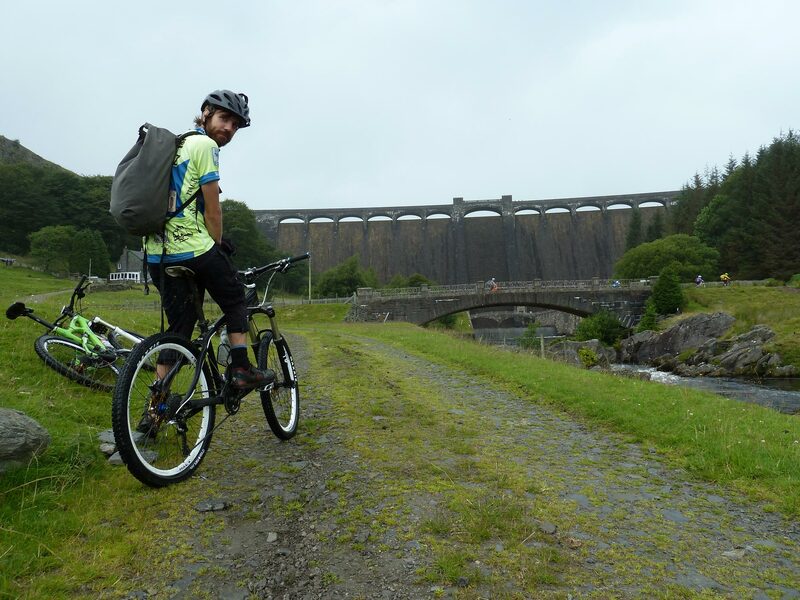 The TCW is a spectacular and varied ride taking in as it does the beautiful Elan Valley on what most people do as day 2. You don’t have to be ‘elite’ fit to do the ride but a good level of fitness is needed as the days can be long and the terrain can be heavy going when (!) wet….. The trail is not waymarked so uploading the route onto a Garmin or similar is well advised as well as paper maps. We will happily send you on your way with a packed lunch for Day 1 if you wish. Camera to record your epic! Just remember that you’re not going to see a Costa for a while let alone a bike shop! If you do get here and you find you’ve forgotten something there’s more than a chance we have it here so just ask! www.elanvalley.org.uk Informative website about the area plus maps and routes for all. Google Trans Cambrian Way and you will soon become familiar with the route and the way in which different groups split their 100 miles: All power to MTB Swindon who set off in the snow! MOUNTAIN BIKING: HOPTON WOODS TRAIL CENTRE. 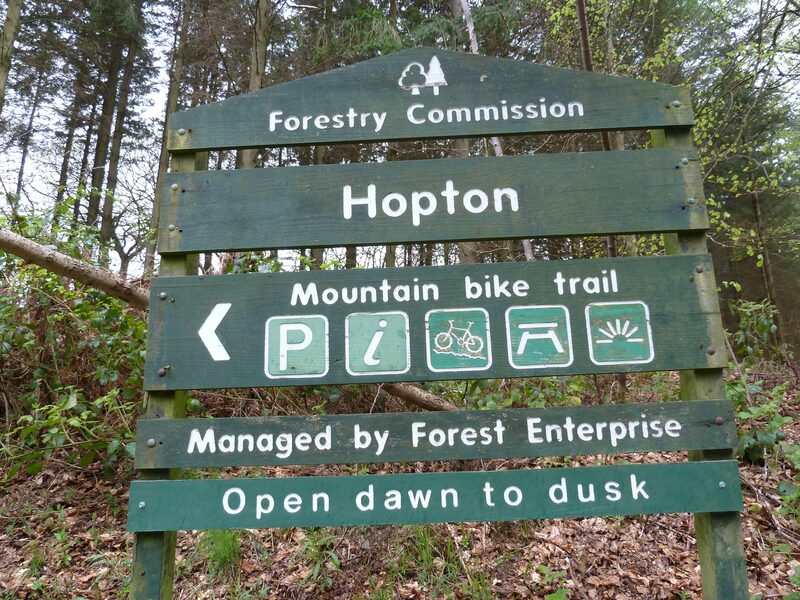 The trailhead for Hopton Woods is only about 25 minutes from The Mill and it offers Red and Blue graded trails + Black downhill runs. The trails have a largely un-groomed feel to them with signature rooty sections… cracking flowy sections and two particularly tough climbs (one near the end of the red just when your legs have had it!) and despite being just 12.6km it can feel longer! Absolutely love this trail, and don’t ignore the qualifier loop either as it’s fun too! Don’t expect trailhead cafe or shop though….. there isn’t one…… just a car park so bring spares and a flask of coffee! Don’t expect to see many people on the trail either so if you are riding solo tell someone particularly mid-week. A GEM and thanks to Pearce Cycles of Ludlow. Sit with a map and plan routes…. It’s easy round here with so many accessible trails. Close to The Mill is Crown Estate land with open access. Favourite bits are over the tops to Beguildy and beyond. Big open country but nothing too technical to put anyone off if you are a novice…. just BIG views! Alternatively ask us at The Mill to show you our favourites. We’re always up for a ride so if you want a guide… just ask! 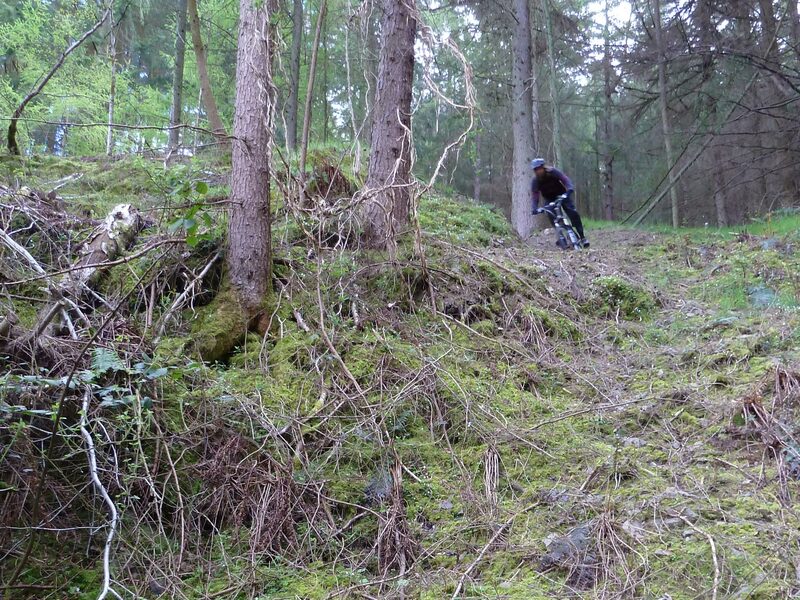 www.mbwales.com and click the link to Rough Rides for more downloadable routes. The other obvious long distance ride is The Radnor Forest ride which also starts (or finishes!) at The Mill. 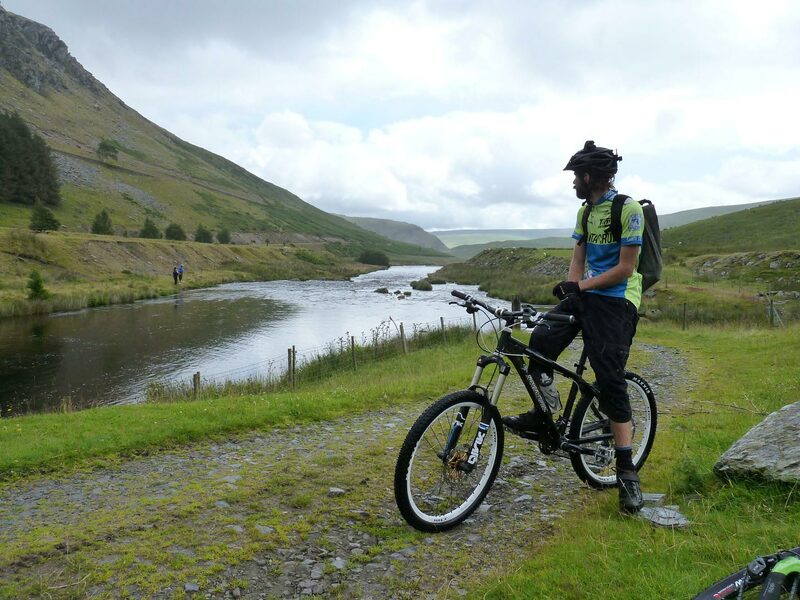 This 62 mile ride off-road / lanes route ploughs a route SW from Lloyney and finishes at the Brecon Beacon National Park Visitor’s Centre outside Brecon. A great 2 day route if you fancy some wild camping? MOUNTAIN BIKING: MORE LONG DISTANCE. Jack Mytton Way: At 68 miles this long distance path from Cloebury Mortimer in Shropshire links Much Wenlock, Church Stretton, Clun and finally finishes at our door here at The Mill! All legal for bikes….. We have ridden sections but not the whole route at the time of writing. 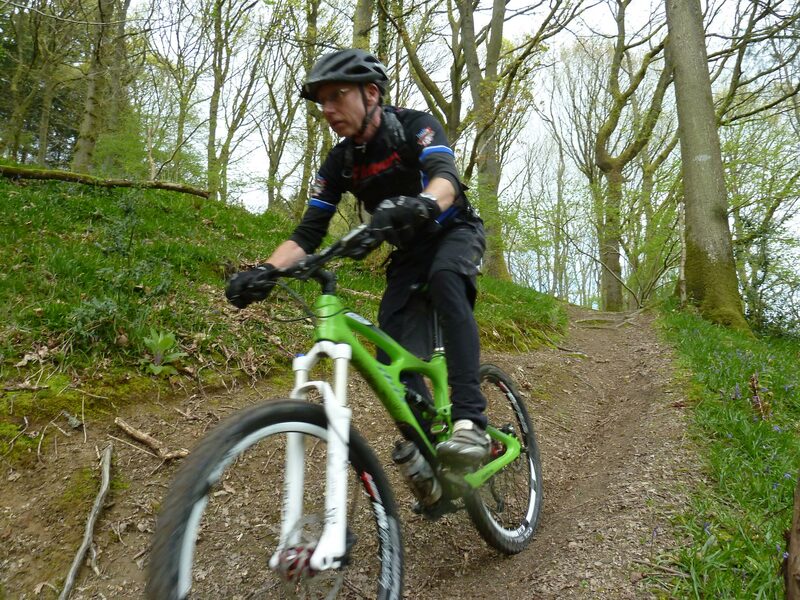 Why not link this to some of the Classic Rides around Church Stretton as part of an epic? We will gladly provide transfer if you wish to use us as an end destination. There is an amazing network of lanes which offer quiet touring opportunities: You can often ride for hours on tarmac and hardly see another soul. Whether you fancy a leisurely pedal or a fast ride on well surfaced roads, then The Mill is an ideal stopping point or base. Ask us for our favourite road rides: we have some great routes tried and tested based upon different lengths and distances…. so whether it’s a gentle ride along the Teme Valley or a strenuous ride with 1 in 4 climbs we can show you where! www.david-lewis.co.uk/wales-trails The almost legendary Dave Lewis circumnavigates Wales on his latest adventure and stops with us en-route. 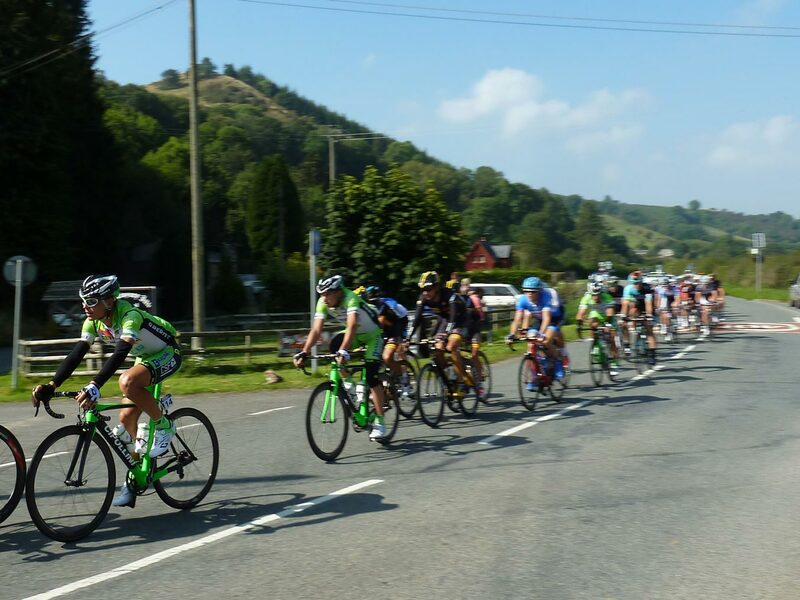 The Mill is close to the 84 mile Radnor Ring at Knucklas so if Touring is your favourite cycling then why not start and finish at The Mill at Lloyney? We can pick you up from Knucklas or Knighton station if you wish. Feel free to leave your car at The Mill if you fancy splitting the ride into a couple of days. Route 825 links Rhayader, Llandidrod Wells, Presteigne and Knighton….. Country lanes and tracks with some off road alternatives if you wish. Lots of places to stop en-route for refreshment. What better way to see the beauty of Mid-Wales and the Borders? Feel free to call us at The Mill if you wish to discuss the above or anything else relating to riding around here…… Hope to see you and your bikes soon!